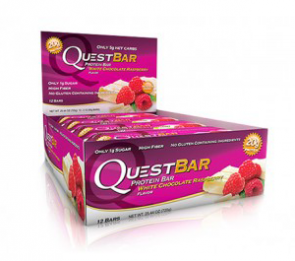 Quest Nutrition is the world's leading manufacturer of low-carbohydrate snacks, especially for its protein and energy bars. Their main purpose as a company is revolutionising food and making clean eating fun. This solution responds to the common thought that no healthy food is tasty. That’s why they decided to create their product following a simple idea - "the idea that food should taste as good as it’s good for you”. These bars started to generate buzz among bodybuilders and models who were fascinated about the flavour, being a very innovator product inside a market where you could find an efficient protein bar but you got tired of the same flavour. These people realised that they enjoyed Quests Protein Bars, and best of all, they were very compatible with their fitness targets and goals. Quest Nutrition always remained loyal to the idea of keeping a healthy formula. Many people recommended them to add more sugar or junk, but their mission was more personal as all of them had friends and families dealing with obesity and diabetes, desperate to find an alternative to the current products available. Two years later, in 2012 athletes and bodybuilders weren’t anymore the main scope of Quest Nutrition. The community expanded to active mums and dads, teens and young professionals who shared stories and asked more questions about the ingredients, benefits and uses of the their protein bars. The brand received the GNC award of Protein Bar of the Year! Hero Bars: Blueberry Cobbler, Chocolate Caramel Pecan, Vanilla Caramel. Protein Powders: Coconut Oil Powder, MCT Oil Powder, Banana Cream Protein Powder, Chocolate Avocado Protein Pudding. They keep innovating themselves to offer more alternatives, pushing forward daily in their mission to transform global health and eliminate obesity for good. Have you already tasted some of their products?